Google Chrome's bounce in Web Browser market share indicates much more than just a successful ad campaign. In a market where users vote with their feet (and cursors), as many as one in five computer users now rely on a Web browser that only comes standard on a handful of Google-branded notebooks. According to reports from tracking company StatCounter, ad network Chitika and online publisher ArsTechnica, Internet Explorer has lost as many as 11 percentage points over the past year. Internet Explorer commands just over half of the desktop browser market, with Firefox at 20 percent and Apple's Safari at over 5 percent. Opera and a handful of alternative browsers control the remaining 2 percent. If you interpret those numbers as a flight to quality, Chrome has earned its reputation as the best Web browser on today's market. However, its competitors keep innovating, leaving plenty of consumer choice for casual Web surfers and heavy users alike. For ten years, many corporate IT administrators locked their users into the browser considered the most stable and secure. By Microsoft's own admission, frustration with IE often results from users' inability or unwillingness to stay current with software updates. Even though newer versions of Internet Explorer have embraced modern Web standards, the browser's reputation suffers from association with its lineage. Netscape may have lost the original browser wars, but its heirs at the Mozilla Foundation resurrected the project's passion with Firefox. 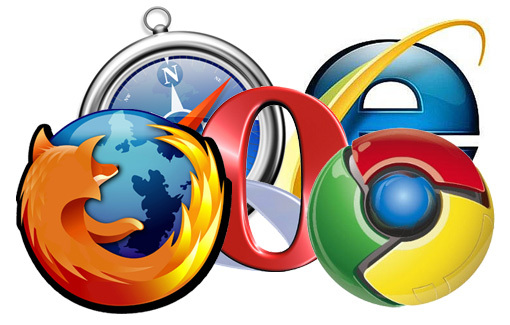 Whereas IE's lack of flexibility frustrated power users, Firefox's themes and extensions offered room for customization. For a while, Firefox's focus on leaner code and support for newer Web protocols made it a top choice. Yet, Firefox's volunteer programmers often find themselves getting leap-frogged by paid developers. "Opera has a special place in my heart," tweeted Instapaper developer Marco Arment in February. "It's the only vendor who blames me when my stuff works in every browser except theirs." Despite its early innovations and its efficient memory usage, Opera's lack of fans outside Silicon Valley means it's not even being benchmarked during most web developer training courses. Years of consumer defection from Windows to Mac have bumped Apple's desktop and laptop market share into the double digits, with Safari's own adoption rate following the growth trend. iOS device users increasingly enjoy syncing bookmarks between mobile Safari and desktop Safari. Plus, Apple sponsors the open source WebKit engine, so Safari is often first in line to support new HTML features, including animation and streaming protocols. Speeding up Chrome means you'll get to see even more of the company's ads, especially if you abandon your desktop mail client for sponsor-supported Gmail. If you're worried that executives in Mountain View might learn a little too much from your browsing habits, you can enable "Incognito Mode" to cover your tracks. Chrome's fast, tight user experience has won plenty of awards from reviewers at PC Magazine, USA Today and CNET, among others. It's also why I keep Chrome as my own default browser.